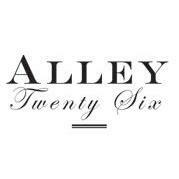 In 2012, Shannon Healy opened his bar, Alley Twenty Six, in downtown Durham, North Carolina. His goal was to create a bar in which crafting the perfect cocktail is an art form. He and his staff make their his own soda, ginger syrup and use only juices they squeeze fresh in house. These efforts have not gone unnoticed; Healy was voted “Best Bartender in Durham County” in 2014 byIndy Week. As its name implies, tonic really does have medicinal purposes. In the 1700s it was discovered that quinine, made from a tree bark, could help prevent malaria. In tropical areas, particularly in the British Colonial Empire, quinine was a necessity. It is extremely bitter, however, so it was often mixed with sugar and water to make it easier to ingest. British soldiers in India were granted a gin ration so it wasn’t long before one of them combined the two beverages. Gin and tonic as a cocktail eventually spread around the world and other variations, such as vodka and tonic, soon followed. The first commercial tonic water was produced in 1858 with the most famous brand, Schweppes, making its appearance in 1870. 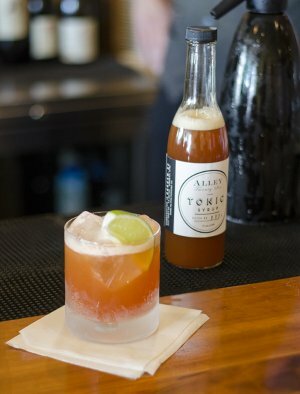 Healy and head bartender Rob Mariani soon came up with a plan to begin producing bottles of their acclaimed tonic. The pair rented time at The Cookery, a culinary incubator in Durham, and began producing larger batches. In February of 2015, Alley Twenty Six Tonic hit the shelves.